What happens when your tenant inevitably leaves? If you’re a new investor, the prospect of a vacant property can bring a twinge of fear. It’s scary to think that your rental income will be disrupted for a period of time. But remember, if you’re doing this the right way, you’ve already accounted for vacancies in your ROI formula. Our formula is very conservative; we set aside 40% of our rental income for vacancies, repairs, and expenses. This amount accounts for potential vacancies of up to three months per year. And that never happens. Our typical tenant turnover lasts about three to four weeks. The only reason that’s possible is because we insist on working with effective property management teams. Because of property management, a tenant turnover is fast and simple! Here’s how a tenant turnover works: first the property manager will send an email notifying us that the tenant is vacating the property. Then, the property manager will confirm that we’d like to continue renting out the home. The property manager will then thoroughly assess the condition of the property, and provide us with a report. This report will include an exhaustive list of items to be repaired or addressed at the rental property. This might be tasks like fixing holes in the walls, a window screen that needs replaced, any items left in the property, and even cleaning out the refrigerator. This is not cause for alarm; one of our recent move-out reports had over 25 items. If the list is long, it means your property manager is doing their job in ensuring the property will be clean and functional for the next tenant. We also always replace the carpet and repaint the interior. You might be wondering what happens to the security deposit. Honestly, that depends on the state. Different states have different laws about what the security deposit can be used for, and how quickly it must be returned. Check out this list of the five most landlord friendly states. 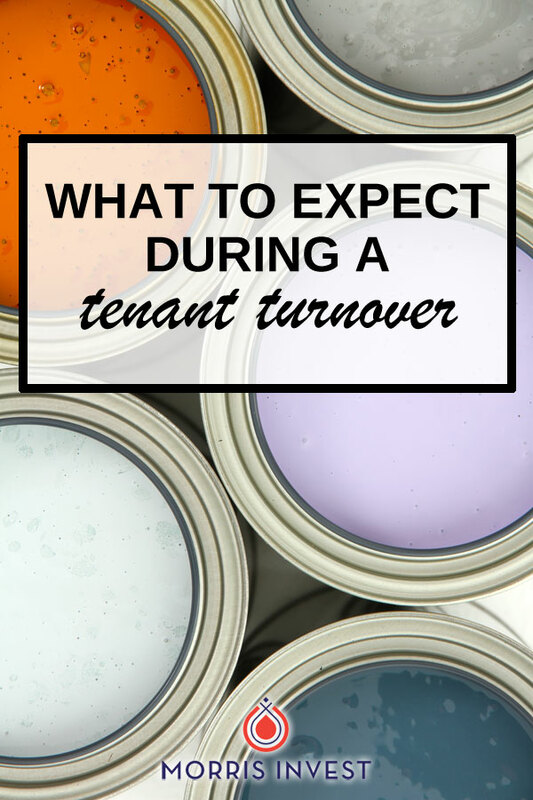 All in all, a tenant turnover is simply part of the business. It's nothing to be scared about. If you've got a great property management team on your side, the process should be quick and painless!